Welcome to the next stop on Magical Blogorail Blue. 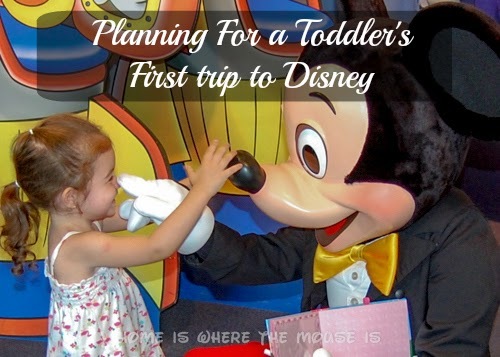 Today we are discussing how to prepare for your toddler’s first trip to Walt Disney World. 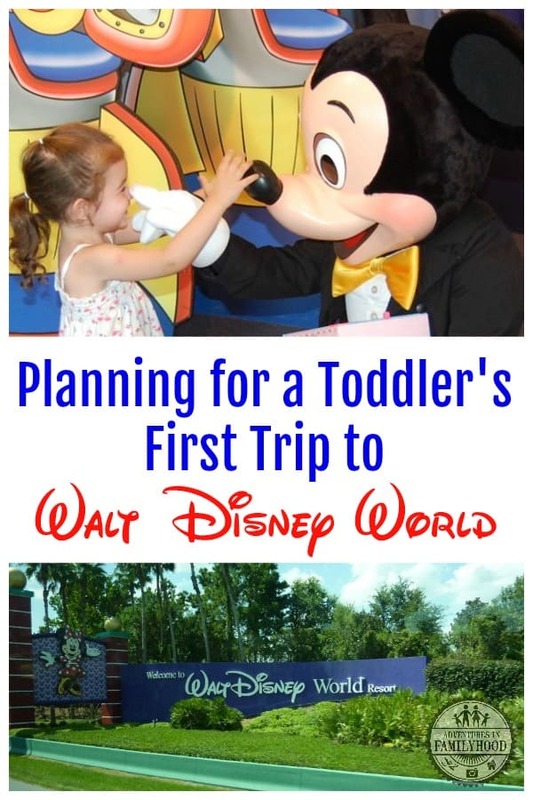 When it comes to taking little ones to Walt Disney World, I’m a “Been There, Done That” mom. 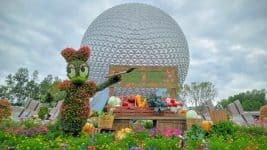 From babies to toddlers to school aged kids, I have experience navigating the parks with kids in tow. However, of all these ages, the most difficult to prepare for is the toddler age. By nature, toddlers are fickle creatures. You never know how they’re going to react moment to moment, let along on a whirlwind trip to Walt Disney World. Thankfully, there are a few things that you can do to prepare your toddler and yourself for a magical first visit. Slow Down ~ Before we had kids we were the commando types. This type of strategy won’t work with a toddler. When planning your days be sure to schedule meal times, down time and, if applicable, nap time. Keeping your child’s day as close to their schedule at home will help them feel more at ease. Make at least 1 table service reservation a day ~ Your toddler is going to need some time away from the hustle and bustle of the park. Also when meal time arises, you don’t want to be in a situation when your toddler is hungry and you don’t have a plan. Scheduling at least 1 meal in advance will give you some security and a destination to go to. 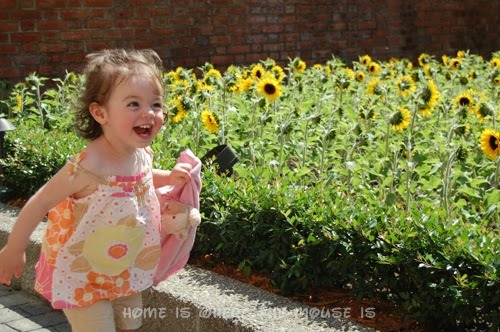 Let your Toddler be your Tour Guide ~ In our family we make a top 3 must see for each park. 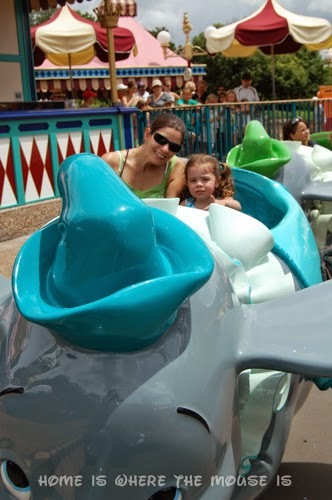 This way we know we are definitely hitting the rides and attractions our kids want to see. Check out some park maps online. Talk with your toddler and see what they’d like to do. Stroller and Diaper Bag ~ Walking around in Disney is not like strolling around the mall. 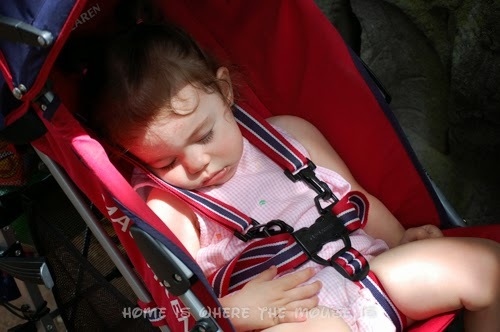 Even if your child does not use a stroller on a daily basis, it is a MUST at Disney. Consider getting a diaper bag that attaches to the stroller for easy access. Besides diaper changing essentials, fill it with snacks, change of clothes and some small toys for waiting in line. Meal Time Favorites ~ Also in our diaper bag we kept a meal time bag. It is simply a Ziploc baggie with a bowl, toddler friendly fork and spoon, and a sippy cup. For younger toddlers, we also included a bib. 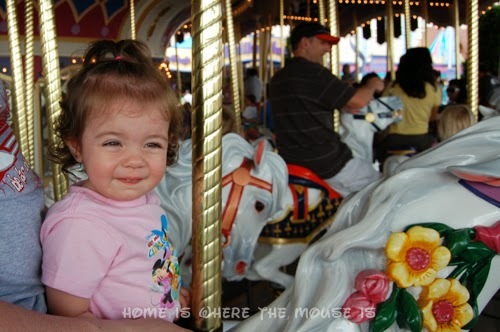 Comforts from Home ~ A Disney trip is a lot of stimulation and a whole new world for your toddler. That can be a scary thing. Bringing along some comforts from home such as a favorite blanket or stuffy can make them feel a little better. If you are going to be brave enough to bring these items into the park, treat them like another child. The last thing you need is to have your child’s lovey go missing. Check out our packing guide to make sure you also bring along all the essentials. 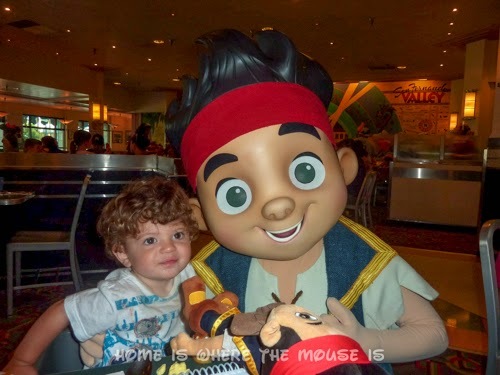 Watch Shows and Attractions on YouTube ~ Kids have a fear of the unknown. But now in the age of YouTube, kids can check out all they’re going to see before they go. Even though our kids have been to Disney a million times, we always spend time checking out ride, attraction and show videos before we go. This will give you a heads up about which attractions might scare your child and which they will be excited to see. Practice Character Greetings ~ Both of our kids reacted to characters differently at different ages. To see how your toddler will react, consider visiting Santa or the Easter Bunny. 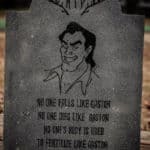 Sometimes local places will have character greetings. 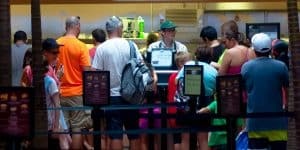 It’s good to know their reaction before you spend time on a long line only to have a screaming kid. 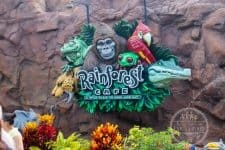 Eat Out ~ Disney dining is definitely a must do for every vacation. Based on my tip above, you’ll be eating in a restaurant at least once a day. If your child is not used eating in a restaurant, go out to eat a couple times before your trip. You can use it as an opportunity to teach appropriate restaurant behavior and to gauge whether or not they can handle a long dinner before making reservations. Great advice! I love how you recommend for parents to practice eating out with their kids and doing practice character greetings. The Easter bunny is great practice 😉 My kids had no fear when meeting characters but I remember seeing some shocked children who were not so sure about the characters. Thanks so much! Our son is shy by nature so we used this tip for him. I'm glad we did so we knew what to look forward to. Great tips! I'm forwarding this to my friend who will be traveling with us in November! Thanks! I hope these tips help your friend have a magical time! Thanks! This list of tips has been growing over the years and from child to child. We always say, "we'll have to remember to do this/bring this next time" But, I'd rather be over prepared than under prepared. Great tips! We love letting our toddler be a part of the planning process. He loves looking through the Birnbaum's Guide for Kids and picking out the attractions he wants to try! Thanks! Our daughter has inherited Mommy's planning skills. She's always been a big part, but now that she is older, she has specific requests. The 4 year old only wants to go on 7 Dwarfs Mine Train. So I guess that's his contribution! I agree that prepping them in advance is so important. My son had been watching YouTube videos of the rides and the WDW travel planning DVD in advance of our vacation! This is great thank you. One thing that we didn’t think that we would need but was amazing that we had brought them was my daughters noise canceling headphones. We didn’t realize how loud the rides and shows are until we went with our daughter. She went into the first ride and started hysterically crying. We put the headphones on her and she calmed down. She ended up using them for almost every ride/attraction.